If you suspect negligence or abuse has occurred against your loved one in a nursing home, know that you are not alone. Our website was designed to provide you valuable information to help you fight back against nursing home misconduct. After checking out our site, we highly recommend that you give us a call so that we can go discuss your situation. We’re here to help. Abuse and neglect occur quite frequently. Neglect occurs when the nursing home staff fails to follow proper procedures and fails to provide a reasonable standard of care. While negligence is usually unintentional, it is still unacceptable. Abuse on the other hand is an intentional act against a resident with the intent to harm. This could be either emotional or physical abuse, and it can from a staff member or a fellow resident. When should I file suit on behalf of my loved one? You should file suit on behalf of your loved one when negligence or abuse has taken place, and they are unable to defend themselves. Negligence and abuse occur frequently. If your loved one is incapable of defending themselves and is unable to file a lawsuit, then it is in your best interest to file a suit on behalf on your loved one. To do so, you will need to obtain your loved one’s medical records, which can prove quite difficult without the proper written authorization. It is critical that in the event of negligence or abuse, you take action as soon as possible. Your first step should always be to contact an attorney, to see how you can pursue your case. What type of criminal charges can be brought against the nursing home? Depending on the severity of the crime, a nursing home can be fined and even shut down. This will all stem from the evidence provided during a case. If a nursing home staff member has abused a resident in any way, then they may face fines and may even face some prison time. Nursing homes are required by law to provide a reasonable standard of care for each and every resident. If a resident has a specialized treatment that authorized by their physician, then it is the nursing home’s responsibility to follow those treatments. Failure to do so can lead to prosecution, depending on the severity of the case. When a nursing home staff member commits an intentional act to inflict emotional or physical abuse, then the nursing home may face criminal charges. This also occurs if the nursing provides an unsafe environment that can cause serious injuries and even death. We are Schenk Smith, your Carrollton nursing home lawyers. Our practice is 100% dedicated towards helping nursing home residents that have experienced neglect or abuse. 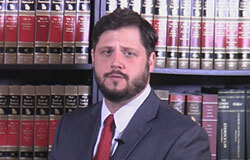 We do not practice any other type of law, nor do we represent any other type of defendant such as a DUI defendants. We’re extremely passionate about the law we practice. Our selectivity ensures that you will have a personal relationship with your attorney who is dedicated to your case. Being selective also ensure that we are ready and willing to see your case all the way through trial. When you go to our website, you’ll notice that we have tons of information available for you. This includes a ton of videos, podcast episodes, and even a blog – which are all focused on nursing home cases. 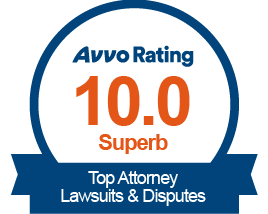 After you’ve checked out our site, please give us a call so that we can schedule a consultation for your case. We can come to you, regardless of where you’re at. It doesn’t matter if you’re by the Coleman Lake Recreation Area, the West Georgia Museum, or John Tanner State Park, we’ve got you. Nursing Home Abuse & Neglect in Carrollton, Georgia – What you need to know. Carrollton, Georgia is located in Carroll County, and has a population of 25,960 residents. Of those residents, 9.20% are 65 and older. As with other nursing homes around the state of Georgia, neglect and abuse occur frequently. What are some of the signs of neglect? These signs usually stem from nursing negligence, because nurses are supposed to help residents daily with brushing their teeth, showering and combing their hair, and changing daily into clean clothes. Failure to do so results in negligence. Other forms of negligence stem from malnutrition, unexplained injuries, changes in behavior, and unsafe/unsanitary living conditions. All of these incidents pose serious health hazards that can lead to illnesses and sometimes even death. What physical harms are the most likely to occur? Physical abuse is an intentional act aimed to inflict pain or injury to a resident. When physical violence is involved, residents can suffer broken bones, bruises and cuts. Another form of physical abuse if when a staff member intentionally prevents a resident from eating. When this occurs, residents can suffer serious physical ailments. What makes neglect so common? Neglect usually happens when a nursing home fails to train their staff. Sometimes it even occurs when the nursing home hires people who are unfit to work in a nursing home. Dealing with elderly on a day-to-day basis requires patience and attention to detail. Some residents require specialized treatments that have been authorized by their physician. When a nurse unintentionally fails to follow the physicians orders, negligence will occur. Working in a nursing home requires specific alertness, because at times residents may take matters into their own hands. For example, if nurses fail to follow a supervision schedule, then they may miss a resident trying to take matter into their own hands when they attempt to use the restroom. If a member decides to try and get out of bed to use the restroom, and falls and breaks a bone, then the nursing home may be held liable. My loved one was hurt in a Carrollton nursing home – What do I do next? If your loved one was injured or has passed away at a Carrollton, Georgia nursing home, then we highly advise you to act immediately in order to protect your loved one’s rights. The Healthcare Facility Regulation is a division within the Georgia Department of Community Health. This division investigates cases of nursing home neglect and abuse. They’re also certify and regulate nursing homes in Georgia. The Georgia Office of the Long-Term Care Ombudsman is another route that you can take to file a claim. The Ombudsman program is dedicated towards resolving cases between residents and nursing homes. The Ombudsman are also authorized by law to enter nursing homes to ask questions and seek answers. If your loved one has been abused, assaulted, injured, or has died from an unlawful action at a nursing home, then you should file a police report. Depending on the extent of the crime, criminal charges may be brought against the perpetrator by the District Attorney’s Office: Coweta Judicial District. For abuse occurring in a Carrollton, Georgia nursing home, report the crime to the Police Department of Carrollton, Georgia or to the Carroll County Sheriff. It may be in your best interest to search for a different facility for your loved one. Especially if they’ve suffered from neglect or abuse at their current nursing home. When searching for a new nursing home, we advise you to conduct a walkthrough. During the walkthrough, ask plenty of questions in order to obtain all the information you need. Another tool you should use is the Nursing Home Compare website which is operated by the United States Centers for Medicare and Medicaid Services (CMS). This site compiles data on every nursing home around the country, providing ratings for each based off a 5-star system. These ratings are determined from a variety of factors including, quality, nurse-to-resident ratio, and inspection scores. For your convenience, a list of all nursing homes located in Carrollton, Georgia is located below, along with their contact information and inspection scores. If nursing home neglect or abuse has happened to your loved one, it is important that you obtain their medical records immediately. The reason why this has to be done as soon as possible, is because nursing homes will stop at nothing to place the blame on the resident. For example, if your loved one suffers a broken arm from a slip and fall, the nursing home will try and claim that the arm was already fractured to begin with. Even if the evidence is stacked against the nursing home, they’ll still try to claim it wasn’t their fault. In order to build your loved one’s case against the nursing home you’ll need to acquire their medical records. The records will show who the primary physician was, information about the hospital visit, and the nursing home itself will have records too. To obtain those records, you’ll need proper written authorization. Because of State and Federal privacy laws, you’ll need written authorization in the form of a power of attorney, a healthcare directive, or guardianship paperwork. Your loved one’s right to sue does not go away if they pass away. A deceased person’s right to recoup is turned over to the Estate. For example, the plaintiff of a lawsuit goes from being “Meg Brown” to “The Estate of Meg Brown”. Before a lawsuit can be filed, an Estate must first be established. To create an Estate, the surviving spouse or relative must petition the Probate Court of the County in which the deceased passed. If you’ve currently found yourself in this predicament, you need to setup an Estate as soon as possible. In doing so, you will also need to appoint a representative, who is often referred to as an Executor or Administrator. This representative will act on behalf of the Estate, and will make all the decisions with regards to the lawsuit. No two nursing homes in Georgia are alike. Each have their own pros and cons. Here is a list of the nursing homes in Carrollton, Georgia, along with relevant information for each. This information is taken from CMS’ Nursing Home Compare Website. 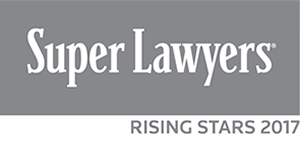 Recognition: Our attorneys have been selected as Georgia Super Lawyer Rising Stars. But our accolades don’t stop there. Google has ranked us as the best law firm in the state of Georgia that focuses on nursing home cases. If that’s not enough for you, check out our client testimonials. Knowledgeable Leaders: Our site has over 200 videos, along with a podcast and a blog that are 100% dedicated to nursing home cases. At Schenk Smith our attorneys are dedicated to our clients, as we attend and lead legal education seminars on nursing home cases. Our attorneys are also members of senior citizen advocacy groups. Personalized Experience: We are selective with the cases we choose to represent. But this gives our clients a personalized experience, where they will always interact with their attorney, rather than a case manager. Being selective also means that we are 100% dedicated towards your case, with all of our efforts geared towards seeing it through all the way to trial. If your loved one was injured or died in a Carrollton, Georgia nursing home, please call us at Schenk Smith (678) 823-7678 for a free consultation. You can also check out hundreds of video FAQs on our website.